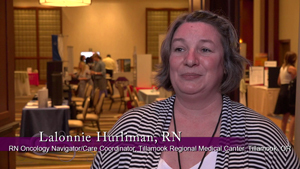 Watch conference attendee Lalonnie Hurliman discuss why becoming certified through AONN+ is important to her, her institution, and her patients. 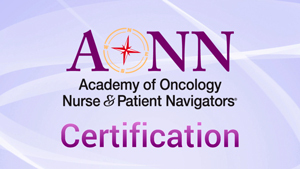 How Can You Benefit from Getting Your AONN+ Certification? Hear firsthand from your peers about why they decided to take the AONN+ certification exam, and why this certification is important to the field of navigation. Jeanne Maloney believes nurse navigators, patient navigators, and social workers need certification to better define and validate their roles. John French III talks about how the AONN+ Navigation Certification can help validate the part navigators play in the healthcare team and in the patient experience. Doris Jones explains the importance of both navigators and navigation certification after having participated in the beta exam at the AONN+ Regional Meeting.